If you are starting the process of choosing window coverings for your home and you want to find great ones for less common windows, like corner ones, there are some excellent options to consider. Companies that specialize in windows treatments in Media, PA always have great recommendations for dealing with this type of window. If the corner windows are too close together, they may not look their best if you do two coverings. Instead, it can be a great idea to use curtains that span both windows. This can ensure that the corner looks tidy and that there is a cohesiveness to it. The challenge with this is ensuring that the curtain rod is installed correctly, so having professionals do the installation is essential. When dealing with corner windows, it can be easy to make the entire look overwhelming, especially if the windows are large. To avoid this, you can choose to have valances and sheer drapes installed. They provide a finishing touch to the space while still offering a bit of privacy. Ensure that the valances are identical and that they are hanging at exactly the same level to provide the symmetry that you want. If you have casement windows that meet at a corner, sometime the simplest option is best. 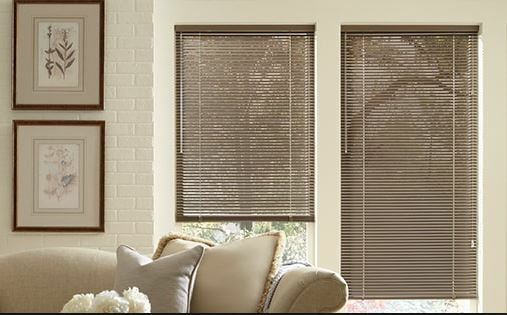 Choose roman shades or simple blinds that can provide a sleek look that is not overwhelming. Something like matchstick blinds provide a clean look that does not get in the way of the windows and that does not add bulk to the room, which is important when dealing with corner windows. Vertical blinds can be another great option for corner windows, especially those that have the glass panes meeting in the corner without framework. You can have vertical blinds that curve around, making the windows feel like one. It is vital to have them correctly and professionally installed, though. If you have a corner window that is on its own, with only a small gap of wall on one side, curtains can be tricky. You do not want the curtain to be installed only on one side, since this creates an uneven look, but you also do not want to cover up part of the window itself. Here, roller shades or blinds can be the right decision. They provide you with the precise fit you want without eating up into your view. It is important to speak with an expert about the corner windows you want to cover. There are many types of corner windows, and they each one have their own challenges, so having someone on your side who knows how to best tackle these projects is vital. A Media, PA window treatment company like ours at Blinds And Drapery Showroom can provide you with the help you need to get your corner windows looking their best. You can easily reach us by visiting us at 1247 W Chester Pike, Havertown, PA 19083 or you can schedule an appointment with one of our experts by calling us at (610) 853-0900. Choosing window blinds for an apartment can sometimes be a challenge. People worry about making the space look smaller or not opting for the right textures to enhance their style. If this is something that you are concerned about and you want to make certain that you find exactly what you want for your apartment, Penn Valley, PA window blind companies have some suggestions to make it easier. 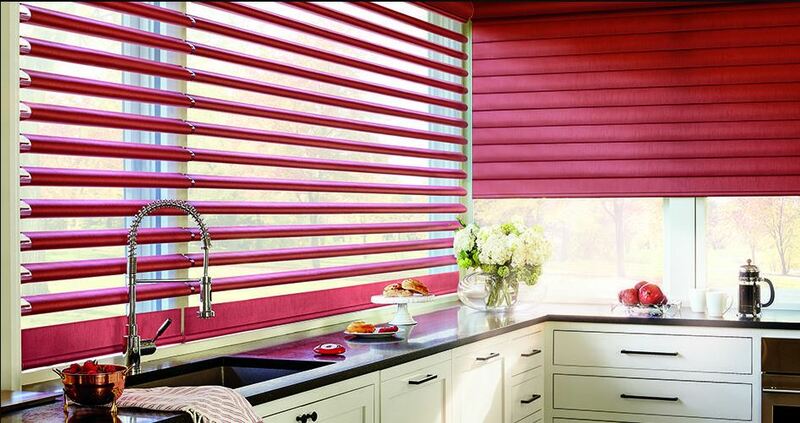 One option that never goes out of fashion and that always looks great, in any kind of space, is venetian blinds. Venetian blinds can be lowered and raised, and the slats can be tilted up or down to allow you to get the exact amount of light that you want without sacrificing privacy. They are perfect for more modern and minimalist apartments but they can look wonderful layered if you want something more classic. The ease of use and the functionality they offer is perfect for an apartment. Vertical blinds are another excellent choice for apartments. They work especially well if you have smaller windows and you want to get the most out of them. This is because they can be completely pulled back to one side, allowing you a full view if that is what you want. The slats are easy to tilt in the direction that you want to let light in. If you are concerned about people being able to look into your apartment from across the windows, these vertical blinds can help because of the ability to tilt the slats to the degree that you want. Honeycomb blinds are another great option. They are modern and very sturdy, offering a minimalist look that can enhance a small space. 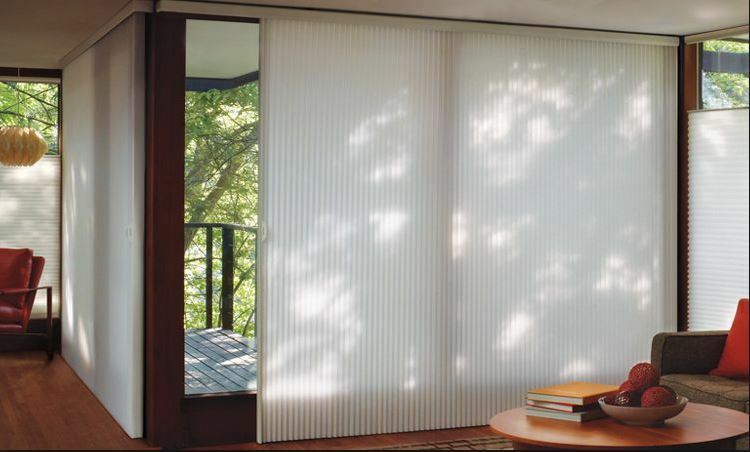 These blinds are made with a material that is energy efficient and which is created to provide protection from UV light. If your apartment has windows that get full sun for many hours of the day, this can be the perfect solution. Their energy efficiency will also help you save money every month on your electric bill. They are also great for privacy while still allowing natural light in. They are easy to use and to maintain, so if you have large windows, they can be a great choice. Living in an apartment does not mean that you do not get to choose great window blinds. Take into consideration the size of the space to ensure that you find the perfect option. Vertical blinds, venetian blinds, and honeycomb blinds can offer the ease of use and the privacy you want from your blinds, no matter the size of windows you have. You can learn more about the options you have by reaching out to a company that offers window blinds in Penn Valley, PA. At Blinds And Drapery Showroom, we are dedicated to helping you choose the exact window covering you need. Stop by our location at 1247 W Chester Pike, Havertown, PA 19083 to see what we offer or call us at (610) 853-0900. Choosing roman shades for your home can be a great choice for a number of reasons. Shades are available in lots of options and can be exactly the style that you want. There are very common mistakes that people make when choosing them and that you can easily avoid. Here are some issues that Wynnewood, PA window shade companies see all of the time and that you should be aware of so that you do not do them. One very common issue that people come across when hanging roman shades is not knowing if an outside or an inside mount is the better option. They are both good choices, but one can be more appropriate for your home and your needs. If you have lovely trims in your windows and you do not want to hide them, you can choose an inside mount. If your windows are relatively small, however, and you want to ensure that you get as much light as possible, you will want to consider an outside mount. Not ensuring that the height of the shades is appropriate is a very common issues. Take the time to get accurate measurements and see where you want the shades to hang on the wall. Not every roman shade is the same length and so you will want to consider this. This can be especially crucial if you have windows that are not standard. Another common mistake people make when choosing roman shades is not considering the fabric options. Not all fabric options will be the right ones for the size of shade. Some fabrics are much heavier than others and can therefore not be appropriate for small roman shades. Other fabrics are too thick, so you will not be able to get any kind of light into the room when they are lowered. For bedrooms, this is fine, but if you still want to have some natural light in your kitchen, you may want to choose fabric that is not quite as thick. Not considering the cost of the fabric options you choose is another very common mistake people make. If you have a lot of windows to cover and you want to use the same fabric on all of them and you are working with a limited budget, you will want to perhaps decide on fabric options that are not as expensive. If you are covering just one window and want to splurge a bit, then you can choose any fabric option you want. All of these mistakes can be easily avoided if you take the time to speak with professionals before making a decision. 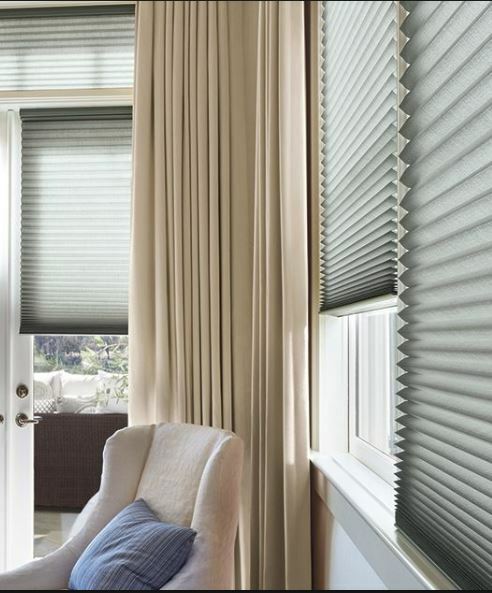 A company that offers window shades in Wynnewood, PA like our at Blinds And Drapery Showroom can ensure that you get exactly the shades that you want for your home. Reach out to us by visiting our location at 1247 W Chester Pike, Havertown, PA 19083 or speak with an expert right now by calling us at (610) 853-0900. When you begin planning the purchase of window coverings for your home, it is important to find a company you can trust to provide you with their products and services. Some people think that choosing nationally based companies is the right choice, but in fact, it can be better to stick with local ones. When choosing a Media, PA window blinds company, you want to consider one in your area for a number of reasons. A local company will depend on word of mouth to get clients and customers. If they do not offer quality services, people will not recommend them to friends and family in the area. With corporations and companies that are based nationally, this is not really a worry for them, because they have so many clients, so their services many times are not up to par. If you hear about a local company that has been working in the area for a good amount of years, you know they offer quality results. Local companies tend to have less clients than those that are based nationally and this means that they can offer the kind of individualized attention that you want. Choosing window blinds or other window coverings can be a time consuming process because there are so many options to consider, so you want to have a company that will help you through the entire process. Only a locally owned business can do this. You should also be able to reach the company with any questions and concerns you may have, and this is something that local businesses can provide. They usually have great customer service teams that can answer your questions at any time. With nationally owned companies, it can be much harder to get a hold of someone who can address your concerns. This is especially important if you have custom windows that require custom blinds and careful installation. Local businesses cannot afford to lose a single client, so they will guarantee your satisfaction. Because local companies do not have a lot of overhead to pay for, you will find that their rates also tend to be better than those from corporations. If you have to purchase a lot of window coverings, this can make a difference to your budget. A locally-owned or family-owned window covering business can be the best decision for your needs. They can offer excellent services, individualized attention, and they will guarantee your satisfaction. This is not always the case with national companies. Before you start searching for a company that offers window blinds in Media, PA, take the time to compare reviews of local and national businesses. You will see what a substantial difference between them. Turn to a company like ours, Blinds And Drapery Showroom. We are dedicated to quality services and the kind of customer support you can rely on. Come and speak with one of our experts at 1247 W Chester Pike, Havertown, PA 19083 or by calling (610) 853-0900 right now. 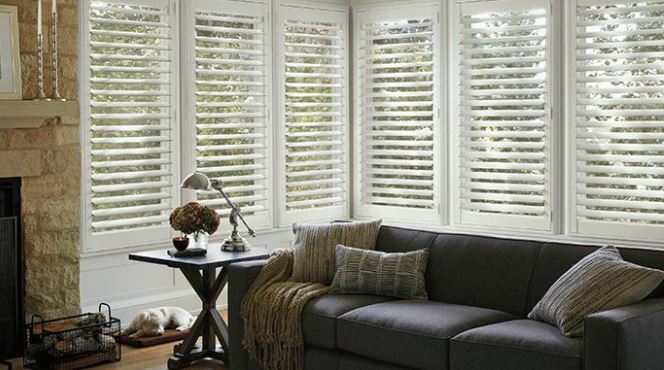 If you are looking for a great window covering option, interior window shutters can be a wonderful choice. They are easier to install than shutters that are on the outside of windows, and they last longer. Of course, there are lots of options to choose from, so there are some tips that can make it easier to purchase the right ones for your home. Media, PA window shutter companies recommend a few simple things. The material you choose is essential. It can impact the cost of the shutters as well as how long they last and how efficient they are. There are shutter options made out of wood, fiberglass, vinyl, and composite materials. Wooden shutters are the ones that tend to need the most maintenance and upkeep, while fiberglass and vinyl are very hard to damage. To ensure that you are making the right choices, take time to learn a bit about the options. A great way of doing this is by asking the company that is providing you with the services for help. The budget you have available has to be another consideration. It is important to carefully plan by keeping in mind how many shutters you want to install. If you only want to do one room, your budget may allow for more expensive options, but if you are looking to add shutter to every window in your home, you may have to choose more affordable options. You also have to consider the installation fees and whether or not the company you are buying from offers standard rates. Interior shutters come in many different styles, which means you will have to take some time to look through your options. The decision you make has to accommodate the style of home you have, your décor preferences, and many other things. The functionality of the shutters is also something you will want to keep in mind, and the size of the slats. Some designs allow for some light to come into the room, which can be great for kitchens, since they still offer privacy. In a bedroom, however, you may want to choose interior shutters that have slats that close completely. When choosing between plantation styles, café styles, and shaker styles of shutters, take your time and read up on the different options. These are some of the most crucial things you want to keep in mind when deciding on the kind of interior window shutters you want to buy for your home. Reaching out to a company that offers window shutters in Media, PA for help can a great way of saving time. Experts will be able to advise you about the choices that fit your budget and your style best. Take the time to contact a company like ours, Blinds And Drapery Showroom. Let us help you choose excellent shutters by visiting our location at 1247 W Chester Pike, Havertown, PA 19083 or calling us right now at (610) 853-0900 to learn more. If you have decided to purchase window shades for your home, you may have noticed that there are a lot of options out there to choose from. All of the brands and styles available can be confusing, which is why it can help to have a plan and to keep a few simple strategies to narrow your options down. 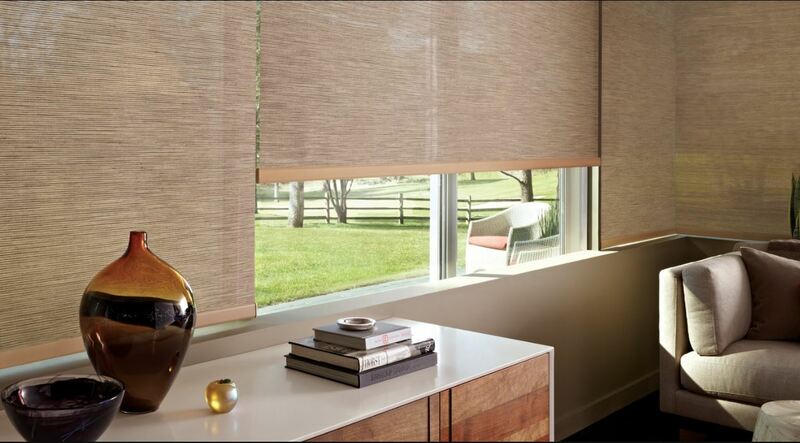 Companies that offer window shades in Ardmore, PA have some important dos and do nots you need to keep in mind. Do compare rates. This may seem like a given, but there are a lot of people out there who want to make a purchase quickly. This can cause them to choose options that are not as affordable as they should be or that come from a company that is not as reputable as you need. By taking time to ask for full price lists from a few companies, you can make the right purchase. Do not decide solely on price. Although you do want to choose competitive rates, you need to remember that products that are underpriced can be a mistake. If you notice that certain window shades are priced much lower, ask about the materials, and take time to inspect them. You also want to consider that some of the sturdiest materials can be a bit more expensive, but they do pay for themselves later on. Do ask questions from the company you are considering purchasing the shades from. Ask them about installation options, what maintenance they recommend, and any other concerns you may have. Not only will this prepare you for the actual installation, but it can also let you know if the company is worth hiring. Do consider the room in which the shades will be placed. This can have a huge impact on the options that are appropriate. For a kitchen, for example, shades that are made of fabric may not be the best choice because they can get stained. If you want to get shades for your bedroom, you will want to choose those that have lots of flexibility to allow you to open or close as much or as little of the shades as you prefer. Do not rush the process. Choosing the company and the shades that are right for your home takes time. If you rush, just to get the task done, you will not be making the most appropriate of decisions. Keep these dos and do nots in mind when you choose the shades that you want for your home. Do some research into the Ardmore, PA window shade companies in the area to find one that is reliable and that can offer quality shades. By considering us at Blinds And Drapery Showroom you will be ensuring you get excellent products for your home that will last a long time. Stop by our location at 1247 W Chester Pike, Havertown, PA 19083 or call us at (610) 853-0900 to speak with one of our experts. Your windows deserve to have excellent and undamaged window coverings. Some people think that you can just install the blinds or curtain and you do not have to worry about them, but this is not necessarily the case. To ensure that you do not have to replace them too often, companies that offer window treatments in Narberth, PA have some of the most common issues you may run into with your window coverings. Stains are common reasons why people might need to replace their window coverings. Options like curtains are particularly prone to getting stained irrevocably, forcing you to invest in new ones. Blinds are less commonly stained, and depending on the material they are made from, you can easily clean them. If you want to avoid having to spend a lot of money replacing your window treatments, the best thing you can do is manage stains as soon as they happen. If you are quick, you can even salvage fabrics. Be sure to learn about the way to remove the most common types of stains. Warped blinds are another concern that many people run into. If you have blinds or shutters that are made of poor materials or that have been exposed to the elements, including direct sunlight, you may notice that the slats may have warped a bit. For some people this is not a concern, especially if the warping is not extreme, but if this occurs in a bedroom, for example, where you need protection from the morning light, it may be something that bothers you. To prevent the damage, ensure that your window treatments are made of the best materials possible. Fiberglass, for example, does not warp the way that plastic does, even in heat. Your window treatments have to be easy to open and close. The older they get, however, the more likely it is that opening or closing the blinds or shutters has become tougher. Sometimes, this can be resolved easily, with some hardware replacements, but other times a full replacement may be needed. If this is the case, you will want to consider purchasing a better option this time around. Choosing sturdier materials is essential if you want long-lasting blinds or shutters. If you are not sure about the right choice for your needs and budget, speaking with an expert can help. Maintaining your window treatments in excellent shape requires you to pay attention to potential damage that could occur. If you are worried about stains, warping, or malfunctioning blinds and shutters, you will want to reach out to experts that can help you decide on the best path forward. Sometimes this means repairs and sometimes it will mean an entire replacement. 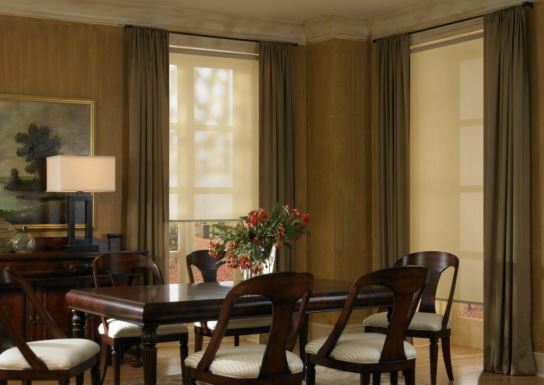 By turning to a Narberth, PA window treatment company like ours at Blinds And Drapery Showroom, you can expect quality services, excellent rates, and individualized attention. Stop by our location at 1247 W Chester Pike, Havertown, PA 19083 or call us at (610) 853-0900 to hear more about our options. As with any other part of your home, your window coverings need to be kept clean. Not only does this make them look great but ensuring that they are clean can also prevent damage from occurring. Although it may not seem like it, dirt can accumulate and scratch at the surface of the blinds or shutters. To keep your treatments clean, Bryn Mawr, PA window treatment companies offer some suggestions. Cleaning fabric window coverings can be a bit time consuming, but with some planning, you can get it done easily. You will have to know what kind of fabric you are working with, since they all have different cleaning requirements. Something you can do for all of them is dust often. Dust and dirt can get into the fibers of the fabric and stain them or damage them. Before attempting any kind of deep cleaning, be sure to dust the entire covering first. For window coverings made of wood, like blinds or shutters, the best thing you can use is a dry cloth or a dust cloth. Try not wet these cloths, even with water, since it can leave stains on certain types of wood. Chemicals are definitely something to avoid, since they can cause lots of damage that could require you to replace the coverings. If you do notice that the wood needs to be polished, there are products made specifically for that purpose. Metal blind or shutters are much easier to keep clean. A bit of dish soap and a wet cloth is all you need to get the job done most of the time. It is important to avoid bending the blinds, since they can get creased if you use too much force or do it too often. Be sure to remove dust before using a wet cloth, since the dust can latch on to the slats when it gets wet. Vinyl is sturdy and easy to clean, which is why many people choose it for their window coverings. A wet cloth is enough to wipe them clean, although if you do notice that the vinyl has stains, you will want to use a bit of mild soap to get them out. Be sure to dry them when you are done, so that there are no streaks. Keeping your window coverings clean is one of the most important ways you can ensure they remain looking great for years to come. Depending on the materials they are made from, you will have to use different techniques, with fabric and wood being the most delicate options. If you are not sure how to clean your window treatments safely, take the time to reach out to a company that offers window treatments in Bryn Mawr, PA. A company like Blinds And Drapery Showroom can help you and offer their suggestions on the best cleaning techniques. Visit them directly at 1247 W Chester Pike, Havertown, PA 19083 or give them a call at (610) 853-0900 to learn more. Your window coverings are vital to the look of your property as well as to its protection. The right window coverings offer protection from UV rays, which can damage and fade furniture, and they can also offer protection from prying eyes. Window covering trends do change from time to time, and so it can be important to stay up to date on what is fashionable as well as dependable. When choosing windows coverings in Drexel Hill, PA, here are some of the most popular and trendy options to consider. One trend that is growing day by day in popularity is using window treatments made from organic materials. Bamboo, wood, wicker, and a combination of other options can create a great window treatment that can provide the utility you want while still offering a unique style. Those made of bamboo, for example, also are considered the “greener” option, since there are sustainable farms that can grow the necessary materials without putting stress on the environment. Luxurious fabrics are another trend that is growing these days. If you want curtains or even Roman shades, why not have them made of materials like silk, damask, velvet, or anything else that you love? This can be a bit more expensive, of course, and it may not fit into every budget, but it can definitely set your home apart. Choose color and patterns. Although neutral solids can be a good choice for some homes, consider going a little bolder by choosing patterns that can add pops of texture and color to a room. You may not want to do this in every room in your home, but by choosing one room or two to highlight, you can enhance the style. These days, there are lots of options to choose from, so why not try a colorful pattern? Another option is to choose window treatments that are high tech. There are blinds that are remote control operated and that can offer easy-to-use technology that makes operating them much simpler. There are some options that can even be operated via smartphone. For homes that have a more modern style, this can be a good choice. You do not even have to worry about being limited by the options, since lots of blinds and shutters have this type of smart technology. Choosing the window treatments for your home can take some time because there are so many options to choose from. If you want to ensure that your home is as trendy as possible, then it is a good idea to consider these options. In Drexel Hill, PA, window coverings are available in all manner of styles, colors, shapes, and sizes, allowing you find exactly what you want for your property. Reach out to experts like those at Blinds And Drapery Showroom to hear more about the latest trends. You can stop by their location at 1247 W Chester Pike, Havertown, PA 19083 or give them a call right now at (610) 853-0900 to learn more. Keep in mind that choosing the most expensive option does not always mean you are choosing the best option. There are some window covering options that depend a lot on their brand name instead on the quality of the products, so this is something that you want to look out for. Do not be scared to shop around. One of the most common mistakes people make when they start the process of buying window coverings is to go for the first company they come across. It is important to carefully compare prices, materials, and products. The same way that you would not necessarily choose the most expensive company or option, do not be tempted to choose the least expensive one, either. Read reviews of the options you are considering. Not every window covering option is a good choice for everyone, so depending on what you are looking for, you need to look for options that suit your needs. By reading reviews, not only of the company you are considering hiring, but of the window covering options themselves, you will be able to make a great selection for your home. Hire only people and companies that have insurance and licenses that are valid. Accidents can happen during an installation and you need to know that you will be covered if anything should occur. Most states have different licensing rules, so be sure that the company you hire has a valid one for your location. If they are not willing to let you see the licenses or insurance information, they are not the right people to hire. Ask for references before hiring anyone. Contractors of all kinds have to have references, so be sure to ask about this. By contacting these references, you will be able to get a good idea of the kind of results you will receive. If the company cannot offer any references, you will want to choose another one. These tips can make it easier for you to get the kind of window coverings you want for your home. Hiring the right people is vital, since a company that has great products and excellent services can save you a lot of time, stress, and money. Ask about insurance and licenses, and read up on the different covering options they can offer. Take your time choosing the company that can provide you with window blinds in Penn Valley, PA and you will have a much easier time making the right purchase. 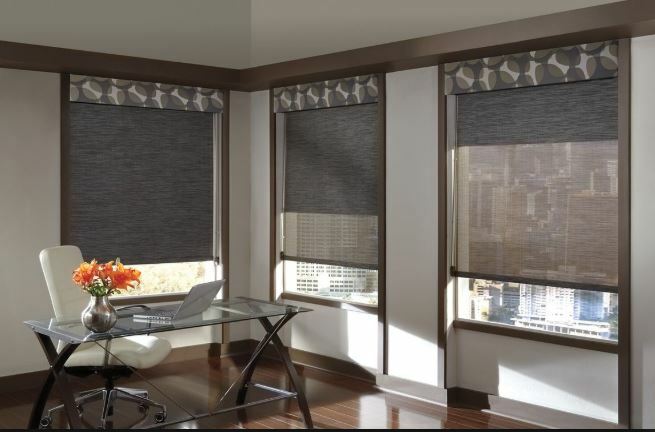 Reach out to a company like Blinds And Drapery Showroom, located at 1247 W Chester Pike, Havertown, PA 19083, by calling them at (610) 853-0900.